msssbible.com- The Last Supper with tons of resources for illustrating the story, coloring pages/activity sheets, crafts, and songs. sundayschoolresources.com- Last Supper lesson with Bible verses, discussions, activities, etc. calvarycurriculum.com- The Last Supper lesson #229 with memory verses, circle the correct words, true or false, fill in the blanks, puzzles, and color sheets. 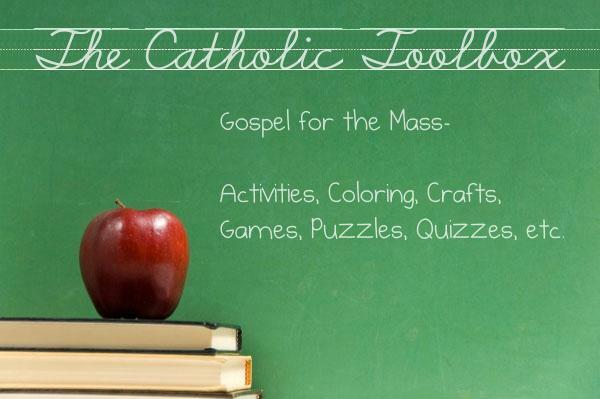 The Catholic Toolbox- Holy Week lesson for Pre K – K with: Objectives, Word Wall, Bible Story with questions, Songs and/or Finger Plays, Activities, Crafts, Games, Snacks, Coloring/Puzzles, etc. The Catholic Toolbox- Last Supper/Holy Thursday 1st Grade on Up lesson with: Objectives, Review, Vocabulary Words, Bible Story with questions, Activities, Crafts, Games, Snacks, Puzzles/Mazes/Worksheets, etc. sermons4kids.com- Last Supper clip art that you can color. Play individually or in teams and work your way around the game board answering questions about the Last Supper. If you are correct you roll a die and move your marker in your row in any direction you want. If you land on a colored space, you can move on row toward the center with “Last Supper”. Play continues until a team or player reaches “Last Supper”. The Last Supper- Color the shapes with letters from the word REMEMBRANCE. What did Jesus share with the disciples? (Big Puzzles for Little Hands: Jesus’ Life and Lessons by Carla Williams, page 72). calvarycurriculum.com- The Garden of Gethsemane lesson #233 with memory verses, circle the correct words, true or false, fill in the blanks, puzzles, and color sheets. sundayschoolsources.com- The Garden of Gethsemane lesson with discussions, songs, crafts, games, questions, worksheets, memory work, etc. dltk-bible.com- Jesus Prays lesson, coloring pages, take home sheet, games, songs, crafts, snacks, etc. 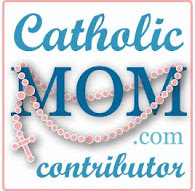 msssbible.com- The Garden of Gethsemane with tons of resources for illustrating the story, coloring pages/activity sheets, crafts, and songs. Preparation: Go to sundayschoolsources.com and print out 2 of the following cards on cardstock (just the pictures of the disciples). Cut out and laminate or cover with clear contact paper to make them last. Directions: Cards are laid out in a grid face down, and players take turns flipping pairs of cards over. On each turn, the player will first turn one card over, then a second. If the two cards match, the player scores one point, the two cards are removed from the game, and the player gets another turn. If they do not match, the cards are turned back over. The object is to match more pairs of cards than the opposing player. (One point is scored for each matched pair, and the player with the highest score after all cards have been matched wins.) When cards are turned over, it is important to remember where they are for when the matching card is turned up later in the game. Jesus Prays in a Garden- Listen to the directions and circle the correct answer. (Big Puzzles for Little Hands: Jesus’ Life and Lessons by Carla Williams, page 74). Judas Betrays Jesus- Color the picture, then cut it into four pieces along the heavy, black lines. Mix up the pieces and put the puzzle back together. (Big Puzzles for Little Hands: Jesus’ Life and Lessons by Carla Williams, page 75). calvarycurriculum.com- Judas Betrays Jesus lesson #234 with memory verses, circle the correct words, true or false, fill in the blanks, puzzles, and color sheets. Judas Betrays Jesus (puzzle)- Color the picture, then cut it into four pieces along the heavy, black lines. Mix up the pieces and put the puzzle back together. (Big Puzzles for Little Hands: Jesus’ Life and Lessons by Carla Williams, page 75). 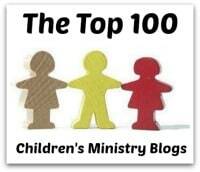 sundayschoolsources.com- Peter Denies Christ lesson with discussions, songs, crafts, games, questions, worksheets, memory work, etc. kidsclubs4jesus.com- Peter Denies Jesus lesson with puzzles, coloring sheet, Bible readings, questions, memory verses, key points, object lesson, drama, puppets, etc. (These files are set up and formatted so that they can be easily made into weekly booklets for your children's ministry, youth ministry, etc., with 4 sheets of legal paper and two staples). first-school.ws- A cute rooster craft with templates available in both black & white and in color versions. Leave off the feet and the rooster can rock back and forth. Peter Denies Jesus- Peter denied Jesus three times. Hidden in this picture are three number 3s. Can you find them? Color the picture. (Big Puzzles for Little Hands: Jesus’ Life and Lessons, page 76). sundayschoolsources.com- Pilate lesson with discussions, songs, crafts, games, questions, worksheets, memory work, etc. sundayschoolsources.com- Jesus is Crucified lesson with discussions, songs, crafts, games, questions, worksheets, memory work, etc. kidsclubs4jesus.com- Nails for our Sins lesson with puzzles, coloring sheet, Bible readings, questions, memory verses, key points, object lesson, drama, puppets, etc. 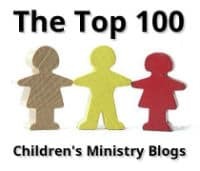 (These files are set up and formatted so that they can be easily made into weekly booklets for your children's ministry, youth ministry, etc., with 4 sheets of legal paper and two staples). msssbible.com- The Crucifixion with tons of resources for illustrating the story, coloring pages/activity sheets, crafts, and songs. calvarycurriculum.com- The Sanhedrin, Herod, & Pilate lesson #236 with memory verses, circle the correct words, true or false, fill in the blanks, puzzles, and color sheets. calvarycurriculum.com- Jesus is Crucified lesson #237 with memory verses, circle the correct words, true or false, fill in the blanks, puzzles, and color sheets. apples4theteacher.com- Jesus stumbles with the cross. daniellesplace.com- Cross Crafts- Several cross crafts listed. Building My Cross (Good Friday)- During this game, children will build a cross for themselves and discover Jesus took their place. (The Encyclopedia of Bible Games, page 147). Blind Leading the Mob (Jesus Is Tried and Crucified)- This game will help your kids discover how a mob convinced Pilate to have Jesus crucified despite the fact that Pilate found Jesus innocent of the charges brought against him. (The Encyclopedia of Bible Games, page 99). Introduce game: How well do you know about Holy Week? Let’s find out. Play one of the following review games and use the questions below. Introduce game: What crowed three times just like Jesus said it would? A rooster. Directions- An egg timer is set for any time the teacher wishes. Have the students sit in a circle. The teacher then gives a student a rooster and asks them a Bible Question. The student must answer the question correctly. If they do not, the student must answer another question until they are correct. When the student is correct, the teacher says, “Pass the rooster!” and the student passes the rooster to the person on their right and that student must answer a Bible Question to be able to pass the rooster. Whoever is holding the rooster with the timer goes off is the rooster. Need: one small ball (or two balled up pieces of paper), two chairs, one trashcan. Directions: Put a trashcan against a wall. Divide the class into two teams. Have students line up in two teams behind a chair (to keep them from getting too close to basket). Ask the first person in Team #1 a question. If they are correct, they get to try to make a basket. If they make a basket, their team gets a point. If they do not get a basket, their team does not receive a point. After the first player has his turn, he then goes to the end of Team #1’s line. It is now Team #2’s turn. The team with the most points wins. 1. What do the bread and wine become at Mass? The Body and Blood of Jesus. 2. Why did Jesus suffer and die for us on the cross? To save us from sin so that we can have God’s life; because he loves his Father and all of us. 3. How did Jesus show his love for us? He suffered and died on the cross. 4. Why didn’t Jesus come down from the cross and save himself? He wanted to die for us; he wanted to save us from sin; he wanted us to live forever in heaven; he wanted to keep the promise that his Father made; he wanted us to have God’s life. 5. What did the people do on Passion/Palm Sunday to show their love for Jesus? Waved palm branches; put their cloaks down before him on the ground; sang and cheered. 6. When did the apostles receive their first Holy Communion? On Holy Thursday evening at the Last Supper. 7. What did Jesus want the apostles to do when he said, “Do this in memory of me”? Change bread and wine into his Body and Blood. 8. What prayer did Jesus say for the soldiers and the people who put him to death? Father, forgive them. 9. What did Jesus do before he bowed his head and died? Gave himself to his Father. 10. What was the best gift that Jesus gave us to his Father on the cross? Himself. 12. How much did Jesus love us? He loved us so much that he died for us. 13. On which day did the people cheer and honor Jesus as a king? Passion/Palm Sunday. 14. On which day did Jesus give himself in the form of bread and wine? Holy Thursday. 15. On which day did Jesus die for us? Good Friday. Make up simple bingo cards using pictures or vocabulary words with Holy Week questions from your lesson. Be sure to make calling cards out of index cards so you can hold up the picture or word so the children can see if they have that on their Bingo card. (You can also just make the spaces on your Bingo cards in the shape of a cross to remind them that Jesus died on the cross for them). teach-nology.com- Bingo Card Maker- Free 3 x 3 or 5 x 5 Bingo card that you can make. You can also replace some or all of the pictures in the picture bingo option with vocabulary words to help teach students vocabulary. At Step Two: Choose Your Theme under Picture Bingo, scroll down to the bottom to BLANK to design your own Bingo cards. A fun way to review Holy Week. The objective of the game is to go through all the days of Holy Week by answering questions about each day. Play Memory, Go Fish, or Sequencing with these cards. If you want to play Bible Timeline Card Game, directions are posted. Peter Denies Jesus- Peter denied Jesus three times. Hidden in this picture are three numbers 3’s. Can you find them? Color the picture. (Big Puzzles for Little Hands: Jesus’ Life and Lessons by Carla Williams, page 76). Crucify Him! Crucify Him!- Jesus had to go before many people before finally going to the cross. Follow this maze to see where He went. (Big Puzzles for Little Hands: Jesus’ Life and Lessons by Carla Williams, page 77). Soldiers Make Fun of Jesus- The soldiers mocked Jesus. They dressed Him like a fake king. Draw a line to the things that the soldiers put on Jesus. (Big Puzzles for Little Hands: Jesus’ Life and Lessons by Carla Williams, page 78). Simon Helps Jesus- Connect the dots to see how Simon helped Jesus. (Big Puzzles for Little Hands: Jesus’ Life and Lessons by Carla Williams, page 79). Jesus Forgives the People- Write the first letter of each object to fill in the blank in this sentence. (Big Puzzles for Little Hands: Jesus’ Life and Lessons by Carla Williams, page 80). Jesus Dies on the Cross- Listen to the directions and circle the correct answer. (Big Puzzles for Little Hands: Jesus’ Life and Lessons by Carla Williams, page 81). A Friend Shares His Tomb- Look at these pictures. They tell the story of Jesus’ burial. Number the pictures in the correct order. (Big Puzzles for Little Hands: Jesus’ Life and Lessons by Carla Williams, page 82). The Crucifixion- Use the Braille alphabet to fill in the blanks to find out about the remarkable things that happened when Jesus died on the cross for our sins. (Red Hot Bible Puzzles by Nancy I. Sanders, page 45). Jesus’ True Identity- Use the code and fill in the blanks to see if Jesus ever actually told anyone that He was God’s Son. (Wa-a-ay Cool Bible Puzzles by Nancy I. Sanders, page 47).